As we dive into the final few months of 2012, I will take this short moment to reflect on a few things, count my blessings, and give thanks, as has become customary in my blogging. Since my previous post, I've been neck deep in the sound effects trenches, and I'm happy to say I've survived a grueling and exhausting summer schedule. I had an amazing time working on all the aforementioned films, and I am thankful for the opportunity of having met and worked with some dynamic and creative student filmmakers in the process. I am also thankful for the good fortune of just being able to remain employed despite a tough climate in post production. I am thankful to Monkeyland Audio for keeping me busy this year. So busy, in fact, that I found myself wondering whether I would succeed in meeting the high expectations demanded by our clients, and deliver the quality of work I expect from myself. This summer was a true test for me. Luckily though, I am surrounded by clever and creative individuals who share my passion for crafting a detailed and well-rounded sound experience. I have to single out fellow sound effects editors Steven Avila and Alexander Pugh for being on their "A" game all summer long. We pushed the envelop on every project, held it together, and achieved our sonic goals. Thanks dudes. We survived another year. Finally, I must also give thanks for the opportunities presented to me in a freelance capacity. On several occasions this year, I was given the chance to work with other editors and mixers I admire, namely Dave Barber (Juniper Post), and Carlos Sanches & Josh Eckberg (WB/Audio Circus). Thank you fellas for letting me be part of your shows. I would be honored to do it again! Thank you all for reading. 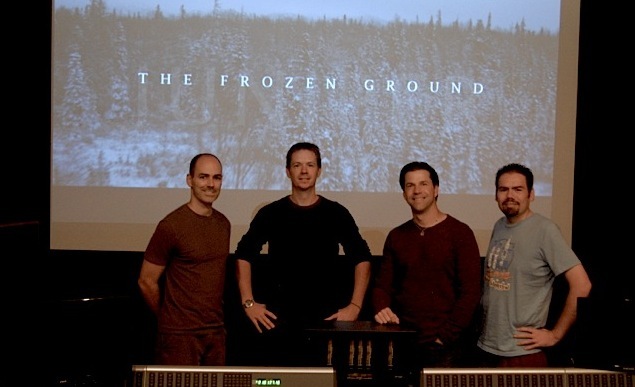 I look forward to what 2013 brings, and I wish all fellow sound editors incredible amounts of luck and success. Many blessings!